G DATA Software AG is a German software house that focus on developing softwares for antivirus security. The German company, developed its first antivirus software almost 25 years ago. 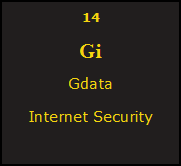 G data is one of the pioneer of internet security softwares in the world, the experience is tremendous. No other European Internet Security provider have won more awards than the German Company, both on local and international Level, which attest for the quality of service offered. The software company caters for a vast market from different platforms such as Mac, Windows and Android, with various packages that are adjustable according to the needs of the customers, for the Home and Business Market.